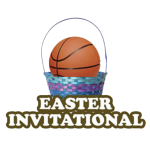 Easter Invitational One Day is open to 3rd-11th Grade Boys & Girls Teams. We only play on Saturday. Great Tune For the Live Events for High School teams. Come and Play Where the Elite Play! Over 80 teams participated last year from 12 different states. Check our our photo gallery!